Once again, I find myself with too many sampled foods to do an individual post on each, so it's time for a roundup. Yummy, yummy roundup! Aw, honey. I seem to go through a lot of it, and I also seem to always have a bunch of different varieties, ranging from super-local to imported. Savanna Bee sells a bunch of different honeys as well as products made with honey. They send me a sweet little sample jar of palmetto honey. This is the kind of honey you use when you want to savor the flavor. So ... probably not a tablespoon in a bread recipe, but definitely good for drizzling on an English muffin, or perhaps in tea. Brennans apparently makes a whole bunch of different breads, but I wasn't familiar with them at all until they sent me their Wholewheat Traditional Soda Bread. This is marketed as being high in fiber, yeast-free, and with no added sugar. I was kind of surprised that it was a soda bread rather than a yeast bread, but it definitely had the texture of a high fiber loaf. This was good toasted with some butter, and would make a nice base for a schmear of cream cheese. Unlike some high fiber varieties, this had good flavor and it didn't feel like I was depriving myself of anything when I ate it. 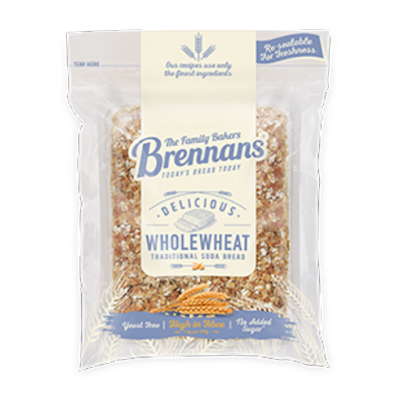 I love alternative grains for baking, although whole grains can also be used for cooking as-is, as a side dish. But hey, I have a Vitamix, so I made flour from the Emmer and then made a loaf of bread in my bread machine. My usual ratio is 2/3 bread flour and 1/3 alternative flour, more or less. That gives me the structure I like, with the added flavor or fiber or color from the alternative flour. So ... that's what I did. I still have some more experimenting to do with these grains, but I have to say that I was happy with the results. These folks also make a grain mill, but I haven't tested it. Looks good, though. I got an email from Dove Chocolate asking me if I wanted to sample some chocolate. Yeah, that's something I never say no to. So this lovely box showed up with everything from chocolate to munch on (sea salt caramels!) to a baking mix to bake with. Wowza. The really interesting thing about the baking mix was that it wasn't just for baking one specific thing. Recipes on the bag include cupcakes, pizzelles, and snickerdoodles, so it seems pretty versatile. I'll be checking it out after the holidays. Or, after all the other snacks are gone. Here's something different. Pork panko. Or more precisely, flaky bits of pork rinds that look a lot like panko. My first attempt at using this was in bread sticks. 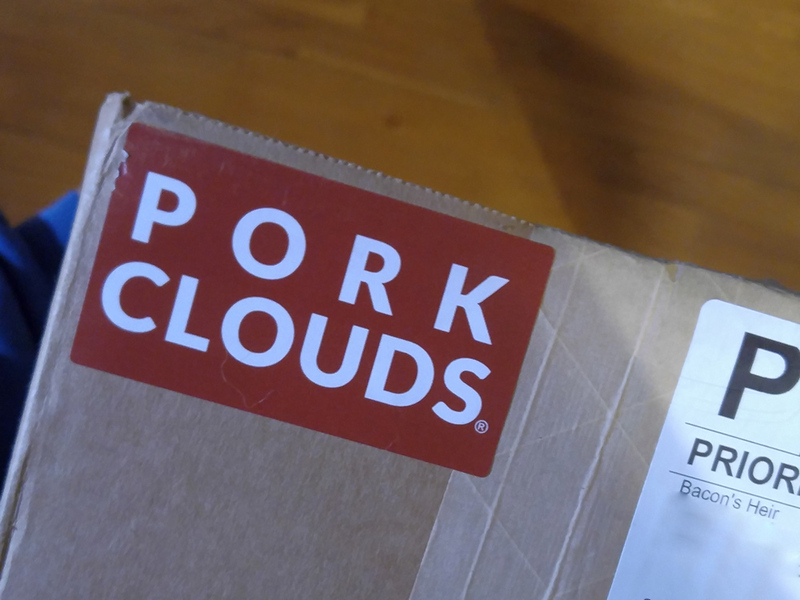 It wasn't quite as porky as I expected (I should have added more) but the flavor was there. I want to use these, added to regular bread crumbs, to bread some flattened chicken breasts before frying. I'll keep you posted on how that works. Possibly a recipe. 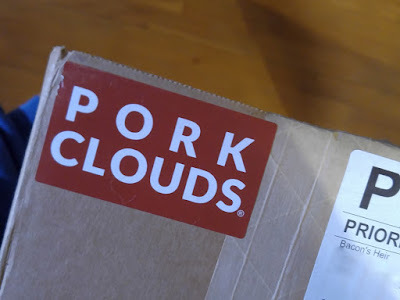 They also sent some flavored pork rind snacks, which a friend of mine called "artisan pork rinds." If you like the plain rinds as a snack, I'm sure you'll find one of these flavors to amuse you. Besides snacking, I think they'd be good as "croutons" on salad. "I don't like raisins," I said when these were offered to me. I was assured that people who don't like raisins often like these. They're made from wine grapes and they include seeds for some crunch. While these were softer than typical raisins and they had a different flavor, I still wasn't enthused about these. Because ... they're raisins. If you like raisins, I'm sure you'll find these are an interesting option. If you don't like raisins, you might like these. I mean, it's worth a try. The pitch on this one was that the olive oil has 30 percent more natural antioxidants called polyphenols than any other oil. Needless to say, I have no way of testing that claim. So, let's go with flavor. This is a fairly strong-flavored oil, so you'd want to use in when you actually want to taste the oil. I like to keep a couple different oils on hand, with mild oils for the times when I don't really want the olive oil flavors, and then a bolder one for times when I want to taste it for sure. This had a really unique pouring spout. It's flexible and popped up as soon as I removed the cap. This made it pour very neatly. Yay, for non-messy olive oil. These are fun. The sugars are flavored, so you can add them to drinks, use them to rim cocktails, or sprinkle them on baked goods. I've been adding the peppermint one to tea and hot chocolate, and I'm thinking the lemonade one would be awesome on sugar cookies. The mocha one would be good on cookies, too. Or maybe muffins. I haven't quite decided yet. This seems to be a small company, and I like that. I got on a mailing list for Land O'Lakes, so I've been sampling a lot of their products lately. Which is not at all a bad thing. They're a regular in my shopping cart, so I'm always happy to get one of their boxes. In the fall, a soft butter with pumpkin spice flavors appeared, and then recently I got a package with soft cinnamon butter, which has been making a regular appearance on toast. Although I buy the soft butter with olive oil and sea salt on a regular basis, I've never bought any of the flavored butters. That cinnamon butter might become a regular, though. Oh, and they always include fun stuff in the packages. This time I got a Pioneer Woman cookbook, a little melting pot from Lodge, and a butter dish and knife. Sweet! OOooooh, drinkies. Here's a confession. I like prosecco better than Champagne. So I was more than happy to get a bottle of a new prosecco to sample. The downside of any bubbly wine is that you pretty much need to use the whole bottle in one evening. I mean, any wine changes after it's opened, but the bubbly ones are most noticeable, since the bubbles disappear. This is a wine that you save for a party, or that you know you'll have a recipe to use it later. Like maybe a prosecco granita. That could be good, right? All of these products were provided by their respective companies at no cost to me.